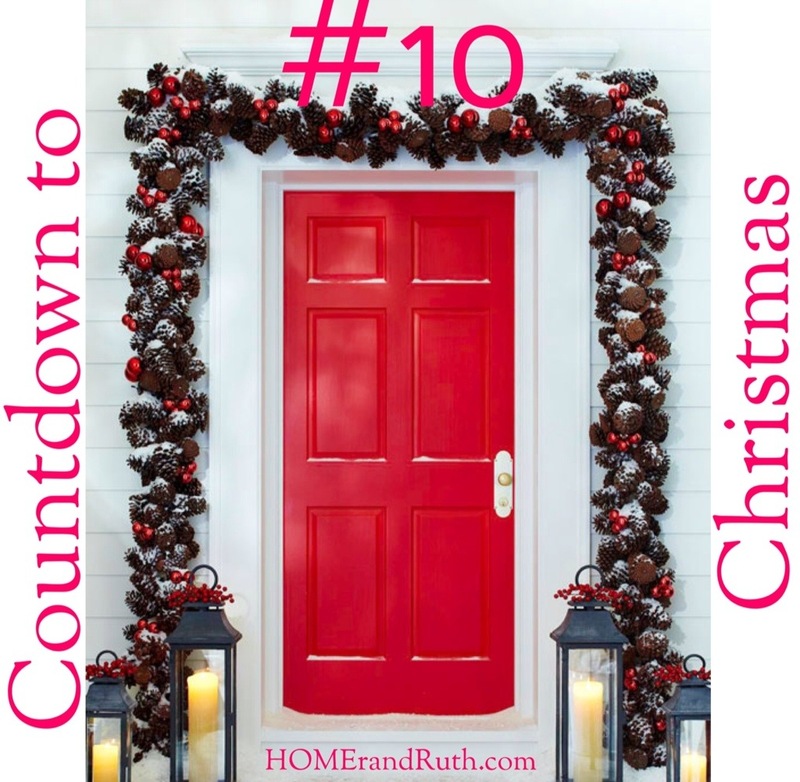 For #10 on my Countdown to Christmas list, I’m focusing on decor again, but this time we’re going outside… specifically, the front door which is where your house makes its first impression. I’m smitten with this little vignette… the embellished pine-cone garland is gorgeous, and the red door is just perfection. This definitely gets my holiday-chic stamp of approval. If you haven’t already, this just might make you paint your front door red.